Majakka Hall is 100 years old this year! We have come a long way in this restoration project started four years ago. The building is in good shape but could use a full outside painting Spring/Summer 2019. We have exhausted attempts at grants for this large task and need ideas or donors. Bids we have received have ranged from 30,000-60,000. (One bid came from a Finnish-owned painting company!) We want to be sure to have quality work with contractors that have experience with historic buildings. A quality job also means longer until the building needs to be repainted. Although our research on DeKalb Finnish social history and commemoration continues, NIU Professor Diane Rodgers and her student's collaboration on leading the restoration efforts will be coming to a close this Fall. It has been so inspirational to see the changes in the building and the community's help in making this happen! Contact DeKalb Area Women's Center directly for their restoration plans for the future. No more boarded up windows! Taking down the black plastic covering! Thanks to a generous designated donation from Barbed Corners Antique Club we were able to restore the warped and cracked doors of the front entry hall! First impressions count, and when you walk into the front doors you will see these restored door panels. Take a look at the pictures below of what the doors looked like before. You can also come by and see all our progress on windows and doors during two tours held on May 4, 2017- one tour at 4:30 and one at 5:30pm. Thanks again to Barbed Corners Antique Club and to the community for all their assistance in restoring Historic Finn Hall! Our window restoration goals for Fall 2016 were completed at the end of November by TMC Windows! Thanks to help from Landmarks Illinois, Finlandia Foundation Midwest Chapter, DCCF, Kiwanis, Bethlehem Lutheran Church Women, Barbed Corners Antique Club, TMC Windows and generous donations from individuals and all those participating in the summer fundraisers, we were able to restore 10 windows in the front of the building and sides of the tower. We also were able to purchase and install one storm window. This window will serve as a model to show our future plans for many of the other windows in the building. Enjoy the pictures of before and after or come by and see for yourself at 1021 State St. Our restoration plans continue with more windows to be restored and plans for exterior painting! After window restoration!! All tower windows now restored, library level and one main floor window with storm window. The window restoration work has begun! Keep your eyes out for building transformation in the weeks ahead. Here on the right is a picture of the restored wooden sashes to be reinstalled. Progress-- thanks to our donors! A BIG THANK YOU!!! Our summer fundraisers are over and we have met our goal to begin our window restoration project this Fall! The tower windows will be restored to their original glory by TMC Windows, a company specializing in historic window restoration. We will provide pictures of the process and explanations of the work under restoration details once restoration has started. We have received a grant from Landmarks Illinois and generous donations from individuals during past Give Local campaigns. 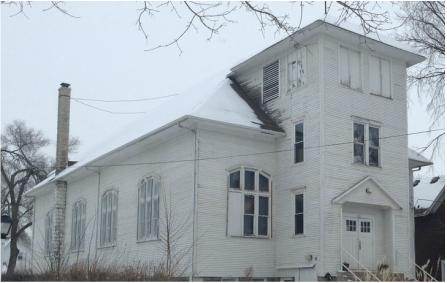 We now need to raise more funds to begin our window restoration project. The windows of the old Majakka Hall are made of old growth wood and with restoration will continue serving the Hall well for a long time to come. 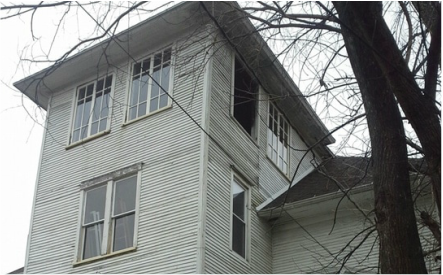 Restoring rather than replacing old windows is a sustainable and energy efficient approach for historic buildings. DAWC has many of the original pulley weights and glass for the windows to aid in the restoration process. A specialist in the restoration of wooden windows will be contracted to do the work. We also intend to protect the restored windows and increase energy efficiency and airflow as necessary through storm windows that meet historical preservation standards. We hope to begin work on the front windows of the building by Fall. We also are restoring cedar siding on sections of the tower that has been damaged by weather. This work should begin this Fall thanks to generous donations. June 18th come DRAW DAWC from noon-5pm (or come sooner, take a photo and draw in studio). We want a drawing or painting of how Majakka Hall might look after historic restoration. Winner will receive 100 dollars in art supplies. This winning artwork will be used for grants and funding purposes. June 18 from 2-5pm and July 9, 16, & 30 from 9-noon DAWC sponsors painting parties. No art experience necessary! Just have fun painting Mary Cassatt's Lilac in a Window in a social settings with food and beverages. You take home your masterpiece. Must preregister for this event. Call 815-758-1351. August 6 we are holding a silent auction at The House Cafe from 3-5pm. Mark your calendar! Phase I is now complete, finishing our stabilization project consisting of Phase I and Phase II. The front entry threshold was fully restored, removing all the deteriorated wood, replacing the previous tarp under the wood with custom EPDM rubber membrane and a fitted metal flashing. After this, new wooden blocks were fit into a built frame with a tongue and groove wood decking then laid onto the blocks. 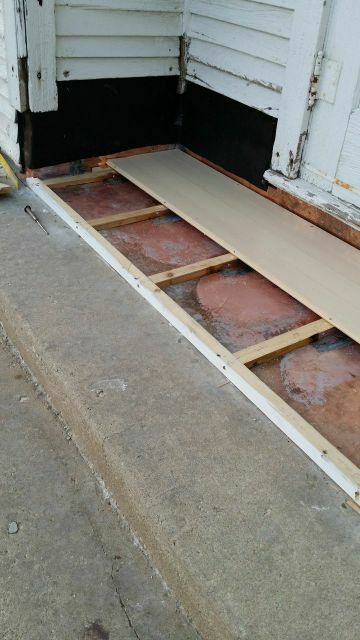 A new doorway threshold was also installed. All of the new front entry way was painted a dark gray. Water had leaked into the basement office and hallway from the front entry way causing water damage. 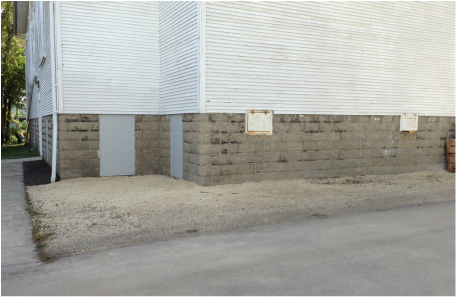 The foundation was inspected for any mortar damage and repaired as needed. Major plaster and framing work was needed in the basement wall below the porch and this was replaced and then carefully matched to the undamaged areas of the walls. 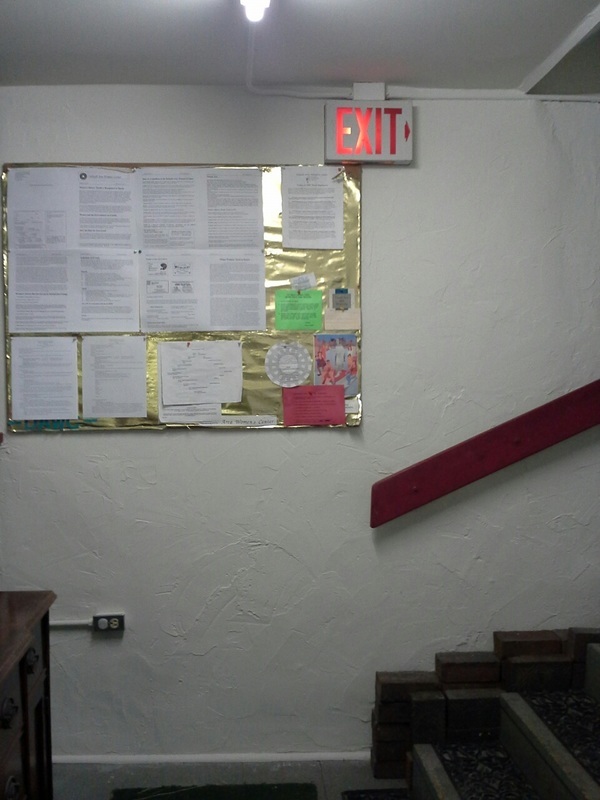 A basement office is now functional in a safe and healthy building! The subsurface drainage system of Phase II is now complete. The subsurface drain was laid along the NE corner and around the back of the building. 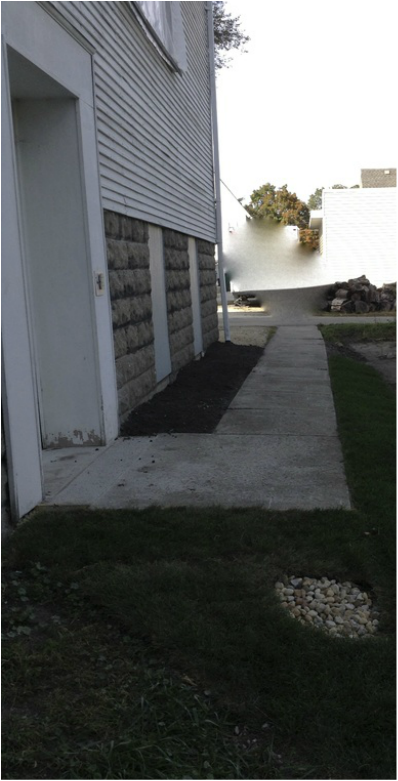 Regrading of the side and back of the building then followed with sod and gravel.The drain outlet is the decorative rock placed in a small circular area in the grass. The raised level of the ground around the foundation and the downward trajectory from the walkway will also prevent water damage into the basement. 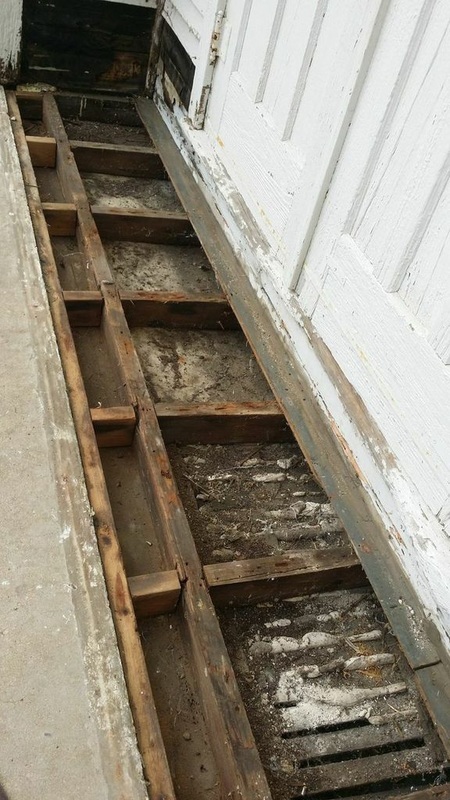 Sections of the walkway were sanded down to remove tilting toward the building, which will further keep water from the building. We are happy to report that Phase I and Phase II restoration work has started! 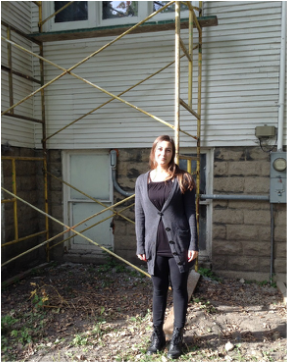 Below: Danielle Calabria, NIU History Undergraduate, is the latest addition to our research team. She will be reporting on the progress of the restoration and posting updates to the website.